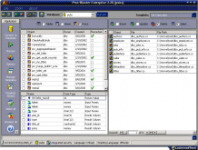 Data Quik - The Database File Copier allows you to copy selected fields and records between some of the major Database Files. In general terms, Data Quik-The Database Copy Utility is an add on Database utility that performs the following functions: 1. 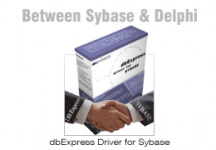 Copy Data between DBase, Paradox, Access, Excel and Lotus files. 2. 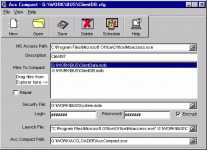 Select File and Fields to copy from and File and Fields to copy to. 3. Copied data is always appended for safety. 4. Excellent Database File browsing available to quickly view Tables. 5. Design and Create DBase, Access and Paradox Files using Data Quik. 6. Edit and Add Data Records for supported Database Tables. 7. Create HTML Pages of Table Data for selected Fields and Records. 8. Run a query on the file to be copied to select specific records to copy, print or create HTML Pages. 9. Save Database files with a new name and disk location. 10. 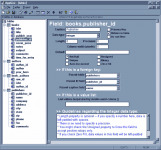 Send and Receive Database Files over the Internet using MAPI E-Mail Component. 11. Browse, Query, Find and Print functions for the Database File types mentioned. 12. Additional functions as Copy file format without transfering data between DBase, Paradox and Access Files. 13. Delete Database files with indexes to the recycle bin or tables within Access, Excel or Lotus files. 14. Find Files using the Device/Disk/Folder/File Explorer. 15. Organize your files across a network in a table for quick Access to Database, Document or Spread Sheet Files. 16. File Supported : DBF, DB, MDB, XLS, WK4, TXT, LST, WRI, DOC, HTM, HTML, ASP, PDF. 17. 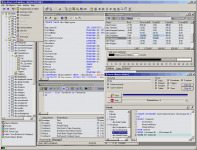 The Database File Copier Program was fully tested for use under Windows 98, Windows ME, Windows 2000 and Windows XP with Pentium Class microprocessors. 18. Must have 100 Megabytes of disk space, best to have at least 128 Mb of RAM, and Pentium microprocessor.